For Steve Porcaro, there is indeed life after Toto (they’re still together, but you get the point). 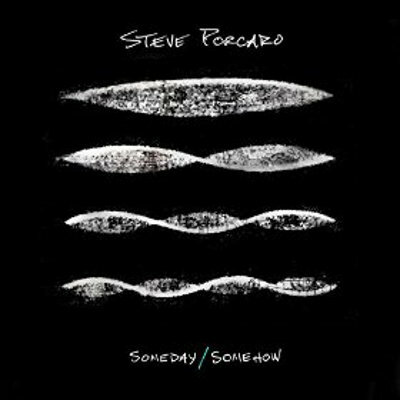 Case in point – his debut solo album Someday / Somehow. After providing vocals for Toto for years, Porcaro steps out on his own and right into the spotlight with a new collection of songs that fits right into his wheelhouse; opener “Ready or Not” plays directly to Porcaro’s vocal strengths right out of the chute, “Swing Street” is a highlight thanks to the addition of Michael McDonald and his unavoidable vocal charms, Porcaro shows he still has serious synth chops on the delicate ballad “She’s So Shy,” “Back To You” finds Porcaro once again teaming with his late brothers Jeff and Mike. Unfortunately, the R&B-tinged “Painting By Numbers” is a swing and miss but the closing “More Than I Can Take” makes solid contact, sending listeners off on a high note as Porcaro delivers perhaps the strongest vocal entry of Someday / Somehow. While Toto is still very much in Porcaro’s future, hopefully there are some more solo albums in the years to come as well, because Someday / Somehow was a pretty good start.